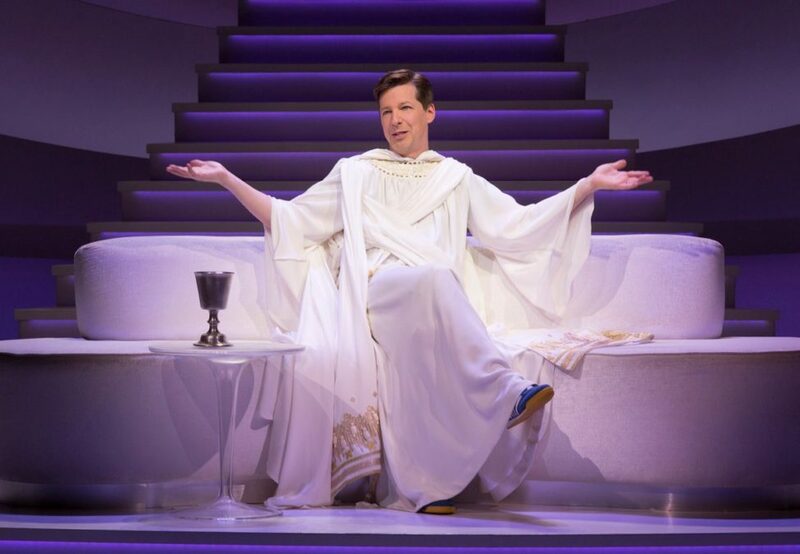 Broadway is #Blessed—An Act of God is returning to the Main Stem, this time with Tony nominee Sean Hayes, who has been playing the Almighty on the West Coast. Directed by Joe Mantello, the stage adaptation of The Last Testament: A Memoir By God, will run for a limited engagement May 28 through September 4. Opening night is set for June 6. God is currently in performances in San Francisco at the Golden Gate Theatre. When reached for comment (which rarely happens), He said, “I can’t wait to return to the Great White Way this summer, embodied by the brilliant Sean Hayes. I’m particularly excited to spend 14-weeks at the Booth Theater, because when you think about good things happening in a theater, the name you think of is ‘Booth’!" Hayes is best known for his Emmy-winning performance as Jack McFarland on NBC’s Will & Grace; additional screen credits include The Bucket List, Billy's Hollywood Screen Kiss, Pieces of April, The Cat in the Hat and The Three Stooges. He received a Tony nod and a Broadway.com Audience Choice Award for Favorite Breakthrough Performance for his Main Stem debut in 2010 opposite Kristin Chenoweth in Promises, Promises; that same year, he also served as the host of the Tony Awards and was later awarded with an Emmy for his work as emcee. The Creator Himself has written the Play, which has been transcribed by Emmy-winning former The Daily Show head writer and executive producer David Javerbaum. God (through His press agent) has billed the show as such: “A 90-minute conversation in which I will reveal the mysteries of the Bible and answer some of the greatest existential questions that plague mankind.” In an early statement, He said, “This Play will help clear up the fallacy that I’m old fashioned…and instead reveal the true Me: up-to-date and holier-than-you.” The production previously ran on Broadway last year at the heavenly Studio 54, starring Jim Parsons. The casting of God’s angels will be announced soon.